Norman began military service on 5 February 1915 in Keswick, South Australia , when he enlisted in the AIF, with his mothers consent (he was under 21). His service number was 94. He embarked on the HMAT "Geelong" on 31 May 1915 and disembarked in Alexandria. In March 1916 he was sent to France and was attached to the 7th Brigade Light Trench Mortar Battery, and was promoted to Corporal on 12th May 1917. 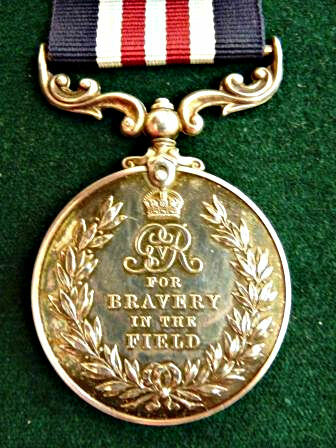 On 2nd July he was awarded the Military Medal "for bravery in the Field", and 2 weeks later was given 2 weeks leave in England. MISS Bernice Clarke and Mr. Walter Josephs will be married tonight by the Rev. Duncan Reeves at the Medindie Congregational Church. The bride is the only daughter of Mrs. and the late Mr. T. Clarke, of Prospect terrace, Prospect, and the bridegroom is the second son of Mrs. and the late Mr. W. Josephs, of Harvey street, Prospect. Mr. Colin Clarke, eldest brother of the bride will give his sister away. She will wear a gown of white satin with a cowl neckline, caught at each side with a spray of orange blossom. The skirt has a fan-shaped train. Her veil of Chantilly lace has been lent by Mrs. R. Bungey, the bridegroom's sister. It is attached to a satin halo. She will carry a sheaf of gladioli. Mrs. C. Clarke will be matron of honor, dressed in pink cloque, relieved with silver accessories. The skirt has a light train. Her toque of similar material has an eye veil, and she will carry gladioli tied with silver ribbon. Mr. Ernest Tidswell will be best man. A few friends will attend a reception at Da Costa avenue, Prospect, after the ceremony. The bride's mother will be gowned in black figured marocain, trimmed with green. Her hat is black and she will have an autumn-toned posy. Black marocain has also been chosen by the bridegroom's mother. The dress has white trimming, as has her black hat, and she will carry a pink posy.